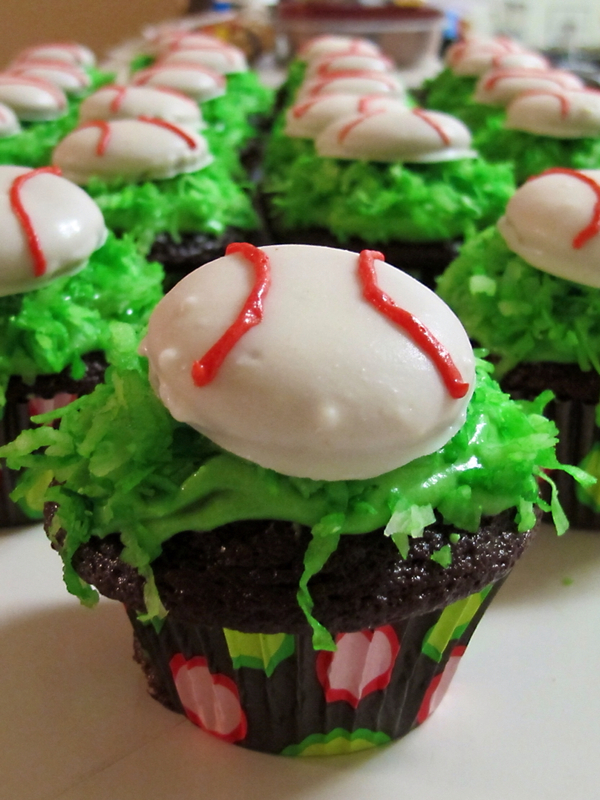 So Many Sweets: Who Says There's no Cupcakes in Baseball? Who Says There's no Cupcakes in Baseball? With the end of my softball season fast approaching I decided to make some baseball themed cupcakes for the last game of the season. Unfortunately our last game got rained out and is now postponed to a later date, so the cupcakes that were supposed to be taken to the game were instead enjoyed by all of my coworkers. These cupcakes were very easy to make and I bet every one around you will enjoy how adorable they look! Fill a ziplock bag with coconut flakes and add green food coloring. Close the bag and shake/rub together until all the coconut is colored green. ( sorry I didn't take a picture of this) Once it is colored to your preferred green lay out on a paper towel and rub to get any extra green off the coconut. Let sit until you are ready to decorate. 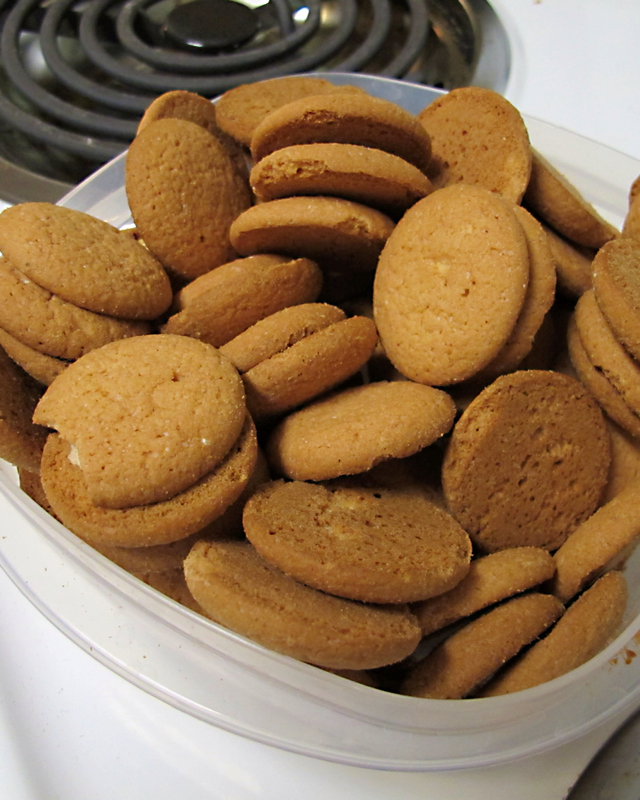 Dip vanilla wafers in white chocolate. Let sit until hard. 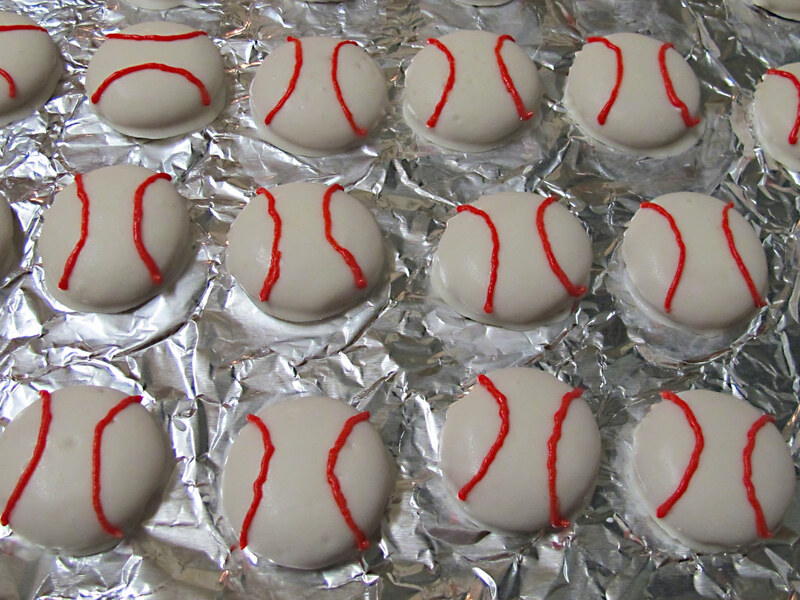 Take red icing and pipe on wafers to mimic a baseball. Ice the cupcakes with green icing. Cover with coconut and shake off excess. Top with baseball. Enjoy!